Do you dream of mortgage freedom? I sure do. 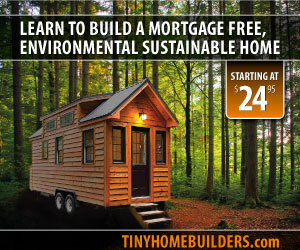 Luckily the Tiny House Family offers an e-course called The Plan: Your Pathway to Mortgage-freedom. It’s a five-week online course designed to lead you through the process of redesigning your life so that you can live on your terms and not the terms of a mortgage. You’ll develop a plan (and put it in action!) based on your unique dreams, style, and life-situation, and you’ll find a community of supportive folks all in the same place as you—ready to make a change. This round starts September 20, so you’ll need to sign up soon as space is limited. Hari and Karl plus their children are a wonderful example of living sustainably (in all senses of the word) in a small space. Their website is a great resource for tiny house living, especially when it comes to having children living in the tiny house with you! I recommend taking their course because they are living mortgage free in a tiny house AND building their own larger home. Can you imagine being able to custom build your home and avoid a loan to do so? Duh. They’re a hop and skip away from me and I got to tour their amazing space on the Floyd Tiny House Tour. You can see more pictures of their homestead here. My journey to mortgage freedom has begun, I have 23 months left and counting! Great blog! I never want to have a mortgage, tell everyone I meet not to get one, yet am pondering one because I have no idea how to ever have my own small home without one. Suckkkkkkkks.